The lead-alloy used to make the shot ie 2%, 4% or 6% Antimony. The move to metric size shot. 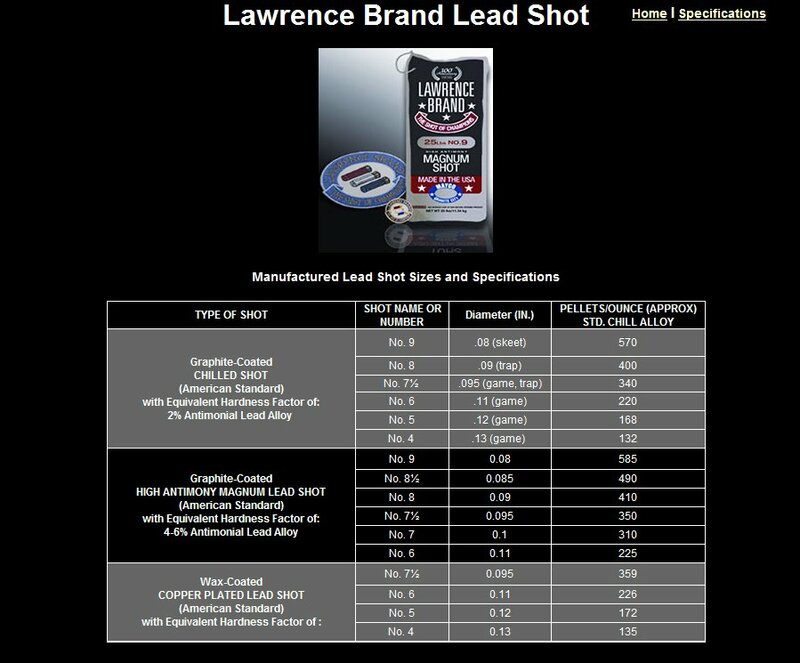 Most shot used today is in metric size i.e 2.6mm or 2.7mm for #6. 2.2mm for #8 so again pellets per ounce will differ from above. Example, from a leading US shot manufacture.